Play the Bravo Dart Machine (coin operated or set for free play) while listening to your fav tunes on the Mini Jukebox (bluetooth from your phone or use usb). Bravo Dart Machine comes with a professional dart mat and 100 soft tip darts. 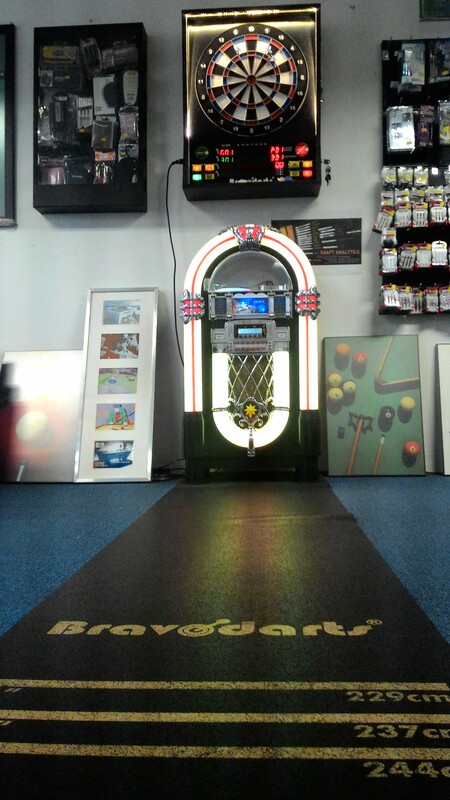 The Mini Jukebox is actually not so small, standing around one metre tall. You can play one cd or easily plug in your usb drive. Better still, drive the jukebox with your smart phone or ipod directly using Bluetooth. If you had these beauties at home you would never want to leave!